The San Francisco medical examiner’s office has identified a bicyclist who died after a hit-and-run in San Francisco’s Tenderloin on Tuesday as 65-year-old Gregory Blackman. Blackman, a San Francisco resident, succumbed to his injuries at a hospital following the 5:44 p.m. collision at Turk and Taylor streets. A vehicle struck Blackman as he was riding his bike and the driver then fled the scene. Officers, however, were able to locate the 41-year-old suspect and arrest him. Details about the arrest, including the suspect’s name, have not been released. Turk and Taylor streets have been identified by the city’s Department of Public Health as high-injury corridors. In April, the San Francisco Municipal Transportation Agency completed several improvements to Turk Street, between Mason and Polk streets, as part of its Turk Street Safety Project. 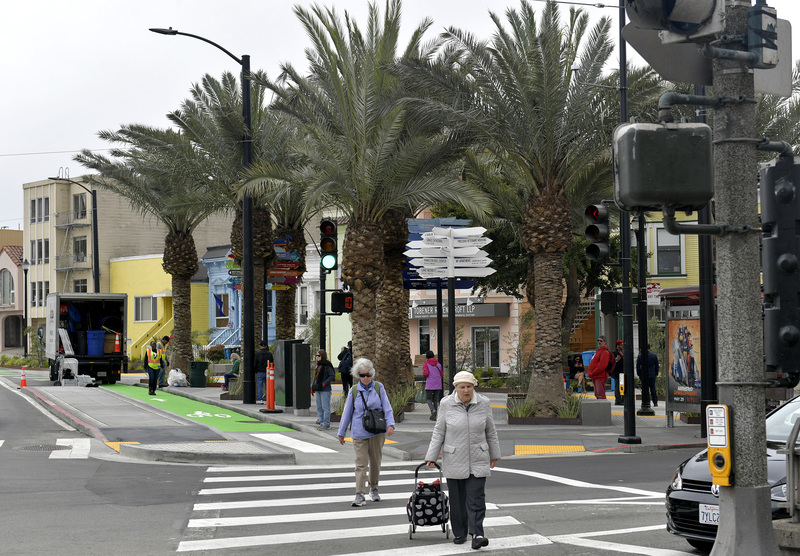 The improvements included a new protected bike lane — the only protected bike lane in the Tenderloin — as well as high-visibility crosswalks, painted safety zones and signal improvements. The project was touted as being in support of Vision Zero, the goal of reducing the city’s traffic fatalities to zero by 2024. According to the coalition, as more information about Tuesday’s fatal collision surfaces, it will evaluate opportunities to advocate for further safety improvements to the intersection.